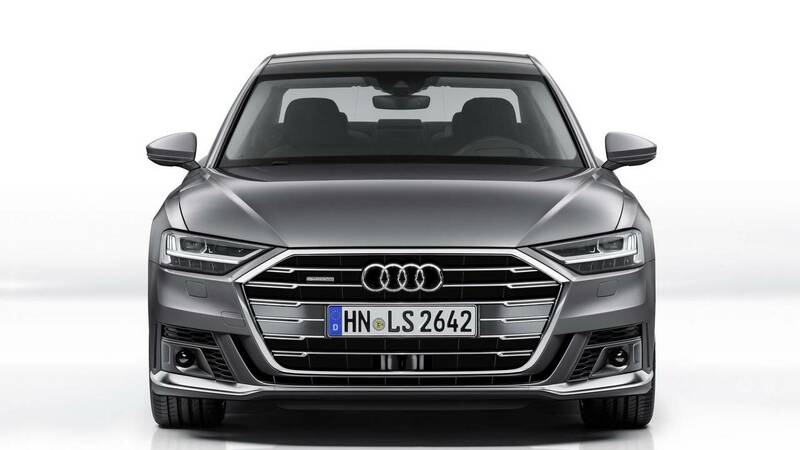 In addition, the area around the air vents has been modified as there’s now a honeycomb pattern and a vertical strut to further differentiate the model from the regular A8. Other changes worth mentioning include the slightly wider side sills, and a tweaked rear bumper with a built-in diffuser and a rhombus insert. However, photos showing the luxobarge’s rear end are not available at this point. Audi will have the Sport Exterior Package on sale in its domestic market Deutschland as well as in the rest of Europe from late January 2018. It’s going to cost €1,950 (approximately $2,305 at current exchange rates) for the 50 TDI version and will also usher in this Daytona Gray paint. 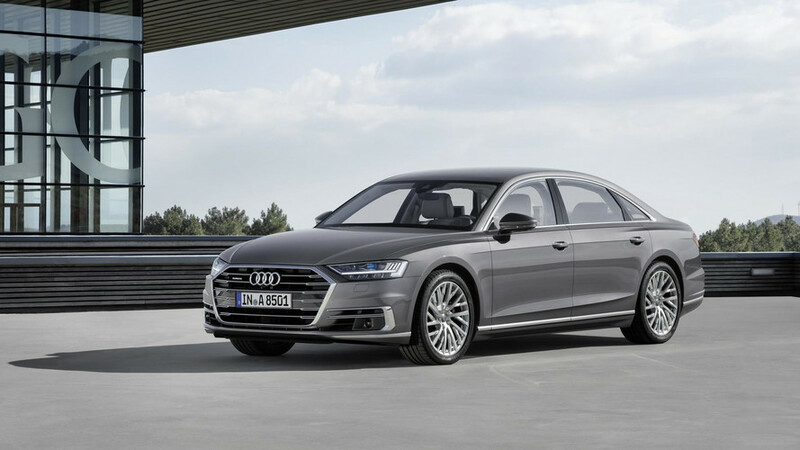 Stepping inside the cabin of Ingolstadt’s stately sedan, there are new sports seats with “optically integrated” headrests featuring electric height adjustment. These come bundled with pneumatic seat and backrest side bolster adjustment for optimal comfort and have square perforations together with embossed S logos. Buyers will be able to pick from a couple of leather upholsteries, each available in various shades and complemented by contrast stitching. Much like the Sport Exterior Package, the fancy seats will be launched on the old continent towards the end of January. 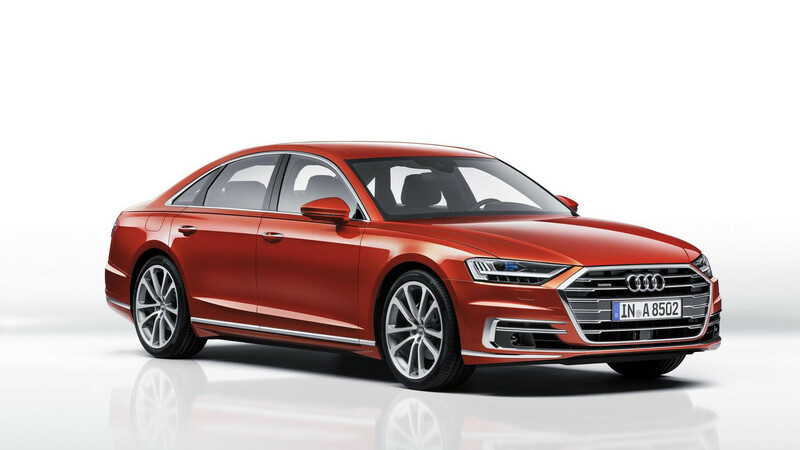 Regardless if you go for the standard or long-wheelbase Audi A8, the seats are going to set you back €4,520 ($5,350) and can be had with all engine variants. Those willing to wait for the full-fat S8 should know the rumor mill indicates Porsche’s biturbo 4.0-liter V8 will be installed in the engine bay with a smidge under 550 horsepower. 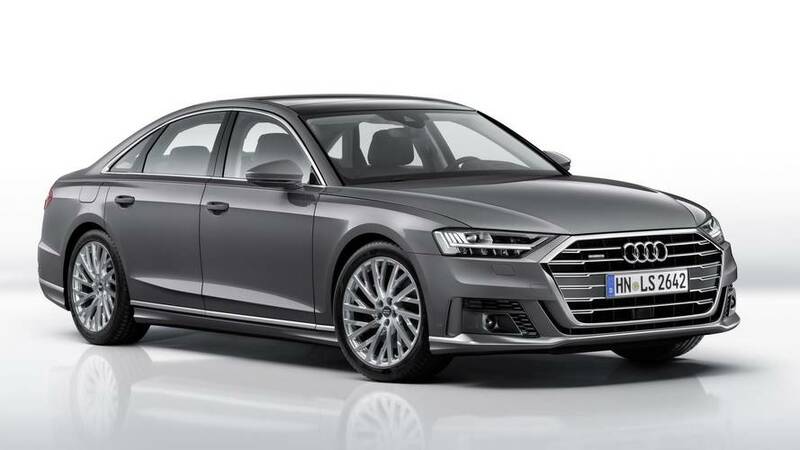 An S8 Plus with an electrified powertrain from the Panamera Turbo S E-Hybrid will follow with slightly less than the 680 hp of Porsche’s hybrid rocket. Note: Pictured below is the regular A8.